It began with the desire to make one doll. I found myself intrigued with the concept of primitive dolls — the muslin, the painting, the grunging, the freedom to design the clothes — and the delight of making them magickal by adding charms, sigils, and spells inside the bodies so that these dolls would be haunted in a purely positive way. My version of the Voodoo Doll. As I worked on my first doll stories began popping in my head. I kept seeing this little old lady (I suppose that would be me) in a car filled with these primitive dolls. Some hanging out the window. One swinging from a moon roof. And the dolls are talking. To each other and the lady driving. She’s frustrated because she’s trying to keep her mind on the road and the sound of twenty yapping dolls twists her concentration into horrendous knots. She is going to a show, by the way. The first one she’s ever been to. There, she plans to sell her dolls. She’s nervous. What if she doesn’t sell any? She had to pay a vender fee — the last money she had in her savings account. Like everyone these days, she’s worried about her future and how she will cover her bills. These dolls aren’t exactly the normal type. They don’t have pretty blonde ringlets and liquid, cornflower blue eyes. They are primitive, powerful, and unique. At this point the racket in the car is getting out of hand. One doll is slugging another. Two are climbing from the front seat to the back seat and to the front seat again repeatedly. One doll is singing Ninety Nine Bottles of Beer on the Wall and she’s worried that he broke into her liquor cabinet before she left. If customers smell booze, they won’t buy. No one can hear the dolls, of course, except our little old lady who is driving the car. That is exactly how the Beboodle stories began. With this vision of the screaming dolls and the little old lady. So…how do I really make them? My first three dolls were from patterns for primitive dolls that I purchased over the internet. After finishing these dolls, I decided that I wanted to make designs of my own. 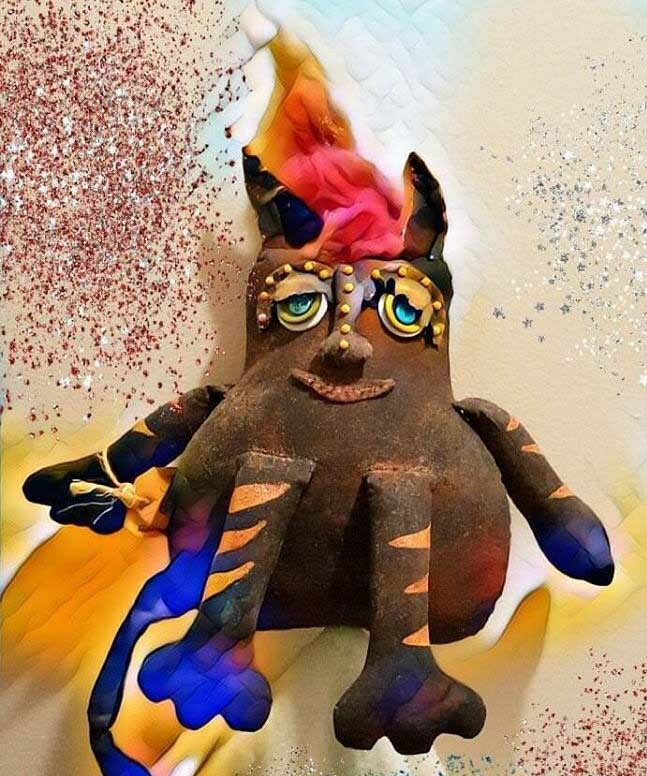 I was already creating designs and posting them here on the blog for other projects (a cat, spirit dolls, mojo bags) so the step to actually creating my own doll with the patterns as a reference wasn’t too big of a leap. I wanted to take the primitive, grunged concept and turn it into something modern, unique, and unusual. Yes, I made mistakes, like spending hours making a vest that should have taken me forty minutes — but, part of the joy was in the creation process. I drew many patterns on graph paper until I manifested exactly what I wanted. Over time, those original Beboodles changed as I changed — striving to be more unique, more creative, and most of all, more inspired by the folks I created them for. This is Astrologer Beboodle — she has pointed ears. Once I finished those original patterns, I transferred the pieces of the dolls to muslin, sewed them together and stuffed them. I learned to double stitch the seams so they could take the strain of primitive-style stuffing, which is tightly packed using small pieces. This style takes several hours just to stuff one doll — but, its worth it. I learned sculpted needle art to create the nose, eyes, eyebrows, and lips of the dolls. A BeBoodle takes approximately three months to complete. Sometimes more depending upon the theme of the doll. I, by no means, consider myself a seamstress. I have basic skills and my only real adventure into sewing was years ago when…for a time…I made unique Halloween costumes for my children or the occasional summer clothing. What I’m trying to say is that if you really like something but think you don’t have a creative bone in your body — think again. The art of creativity isn’t in the fingers — it is a combination of the will to try and the patience to work through it — telling yourself that mistakes are okay, the world will not blow up if you get it wrong, and keep going. I sew the back of the doll last because here is where the focused magick begins. Each doll, like the dolls in the BeBoodle stories, contains a combination of herbs, perhaps charms or trinkets, and a spell paper dressed with Kyphi Oil (an Egyptian oil, when if made correctly, contains a high number of ingredients). The items in the doll are created to make him or her “come alive” in a magickal sense. I spent two years adding more techniques and information into the enchantment aspects of the dolls — from Hyatt’s (Harry Middleton Hyatt) complete works, to sorcery, to classical planetary magick — I researched, tested, and read as much as I could — even to the point of making a plethora of fluid condensers from Sybil Leek’s work to use in the magickal creation of the dolls. Once sewn closed and the facial features created, the doll is painted using acrylic paints and allowed to dry in the sun as long as the weather cooperates. There is a conjure bag stuffed in each doll. Sometimes they are white, other times red. 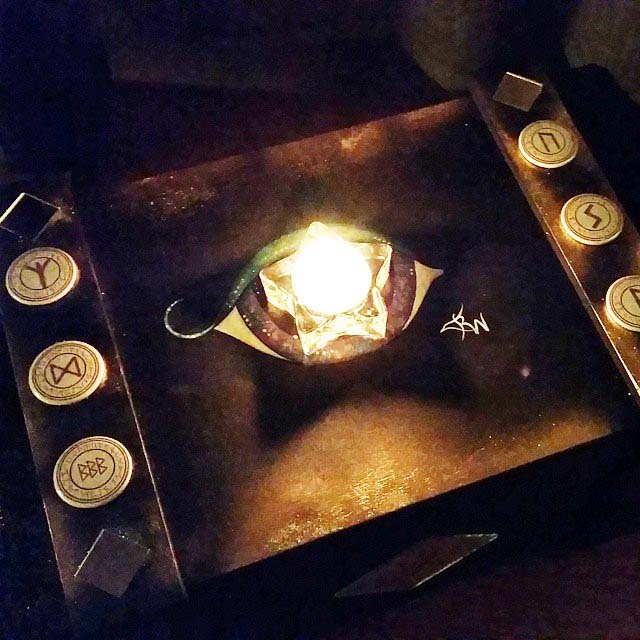 Each bag contains a variety of herbs, a come alive sigil, and one or more gemstones. When the painted Beboodle is completely dry, I sand the doll with sandpaper, then I paint the doll again using a coffee, vanilla, cinnamon mixture. If I’ve used kitty litter to weight the bottom, the doll can go in the oven for about 20 minutes at 180 degrees. If I have used plastic pellets, the doll is placed in the sun to dry once more. When dry, she or he is sanded again. This technique is called “grunging”. These days I add magickal herbs during the baking process.The magick for each doll is performed at the best possible time available, which isn’t the same for each doll. I look at the moon phase, the sign the moon is in and other heavenly movements. When I feel the time is right, the doll is placed in a ritual circle and often empowered over a bonfire. 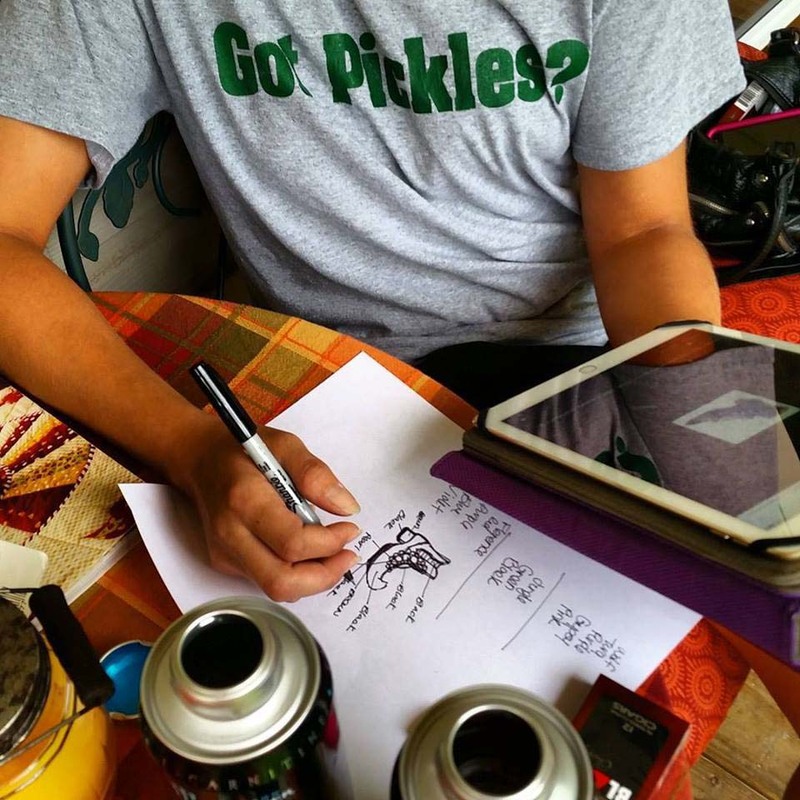 In the fictional stories I wrote, the BeBoodles are put in large pickle jars (I have those) which are buried in the ground for three days (a Braucherei technique for gathering power). 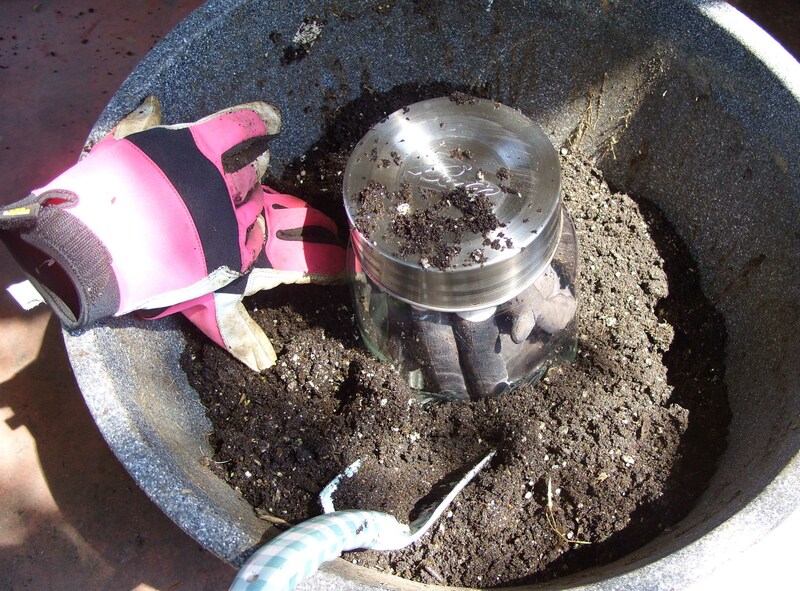 The picture below shows the type of jar and the jar inserted in a very large flower pot filled with dirt from many places (Molly Pitcher’s grave being one of them). BeBoodle preparing for its empowering sleep. I also have a Beboodle Birthing Box that I created if I can’t go outside to bury the dolls. Once the doll is sanded, the eyes are painted with acrylic paints. I draw them freehand and take my time. I spend an hour or more just on the eyes — sometimes two. Then, I affix the hair either by sewing it in or by needle felting (or both). Sometimes I add a full head of hair, other times not so much. Normally, I use natural Merino wool, straight from the animal, purchased on Etsy or Ebay. Over time, I learned how to twist the wool to create stunning hair styles, unique to each doll. I also added a selection of hair colors — the original black, brown, wine red and white. I tried blonde, but the dyed wool was brittle and an utter nightmare to affix to the doll. Sometimes I add rag embellishments to the hair to match the clothing. Before the eyes are painted, I treat the cloth with a ritual solution of eyebright and other herbals so that the doll can metaphorically “see” danger and be used as a divination partner. I treat the eye area with a special divination tincture. I seal the eyes and mouth with acrylic polymer liquid sealer. Then add embellishments such as the bells, jewelry, buttons, etc. As the years progressed, I began making more structural changes to the dolls and their clothing. Embellishments and trinkets are added to make each doll totally unique. Over time, the dolls and the clothing changed to suit the needs of the owners and the themes they chose for their dolls. I started with clothing consisting of the basic dress, bloomers, apron and headpiece or scarf. With each doll I began changing patterns, particularly the apron. It took me forever to choose which I liked best! I even made a pinafore for one doll (that took me a huge number of hours), and a vest for another. Then, one day the doll I was working on “just needed something more”, so I added a bodice piece. When someone asked for a Witch Beboodle, I created a cape and a hat — both my own patterns. Next — the petticoat. With each doll I try to extend myself into new territory of artistic creation. Yes, the dolls do talk to me. Shopping excursions for BeBoodles are half the fun. I choose material, jewelry and any other items I want to add to the theme of the BeBoodle. For example, I took a special trip to a local restaurant store to pick up a metal pitcher for my Molly Pitcher BeBoodle. I’ve made other trips, too, to find just the right embellishment for a particular doll. What I didn’t expect in my journey of doll making, was the interest and involvement of my family. From my husband to my children and my in-law children, ideas flowed and helping hands stuffed and shaped bodies, arms, and legs. In fact, I rarely shop alone for the BeBoodles. There are often two or more people cruising a store looking for that “special something” for a particular doll. My husband helped me search two stores to find a selection of photography charms for this doll. And why the bells? Two reasons that collided. While writing the first BeBoodle story I wanted to add something odd…unusual…about the doll. I thought back to my childhood when my grandmother gave me a cloth doll with many jingle bells. I loved the bells — disliked the doll (I hate clowns). The bells, then, are one part delightful memory, and one part fiction. They certainly do make the dolls unique! 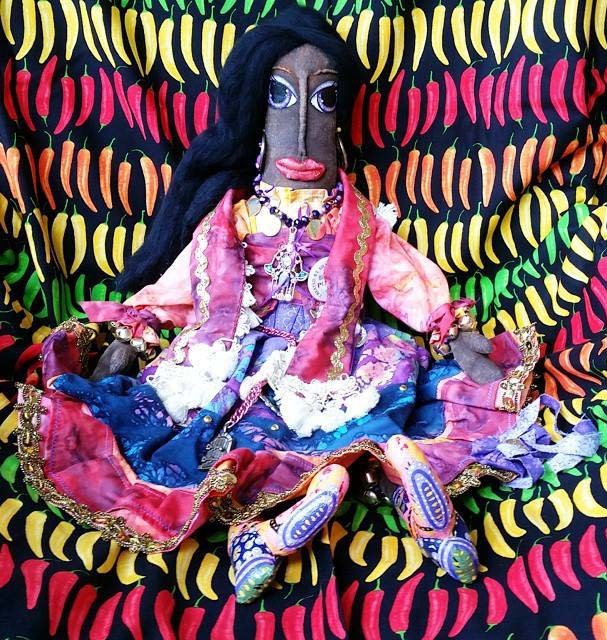 As I create the dolls, the BeBoodle story evolves in my head. Sometimes I will go for weeks, waiting for the right experience or thought to show me the direction of the story of that doll. Other times I know right away just “how it will go down!”. I can honestly say that the BeBoodles saved me in a way that nothing else could. Some of you know that for five years I took care of a family member with dementia. Although the first two years were more of a series of adjustments to my lifestyle, the last three years flowed into a horrendous nightmare. Rather than bore you with the trials and tribulations of being an inexperienced home caregiver , let me move on to how these dolls helped me keep my sanity. Because I could carry them with me, put them down, and mindlessly stitch on a whim, their creative process fit well into the environment of caregiver. Their story in my mind kept my thoughts off the harsh reality of my daily tasks and allowed me to live in an interesting world in which evil does not survive…for long. My family member passed away in May six years ago and I’m still adjusting to the freedom of living just for me (okay, so I live for my kids and my husband, too, but they are grown and I don’t have to spoon feed them, or worry what they are wearing or whatever). My BeBoodle fantasy stalled a bit as I recovered and took care of business. My family, however, did not let the BeBoodles go and continued to encourage their existence! In 2015 my husband said, “You haven’t made any Beboodles in a while. What’s up with that?” I’d been busy making magickal candles, writing lessons on Granny Magick and Braucherei, and even chugged out a big lesson on making magickal dolls. “You should make more,” he said, “I know how much you love creating them.” I put up a listing in my Etsy store for the custom made dolls and was shocked with the positive response. Soon, I began offering more themes and working on special requests — Florence Nightingale Beboodle, Wolf Woman Bebeboodle, DragonFly Beboodle, Mists of Avalon Beboodle, Storm Beboodle, Hoodoo Woman Beboodle, Photography Woman Beboodle, Cat Woman Beboodle and several others. Sometimes the dolls ask me for pets — and so I design those as well. Cat Woman Beboodle and her pet feline. Horse Lover Beboodle and her pet Prosperity Pony. My daughter began helping me on a regular basis by painting the shoes. She comes over once a week and calls herself the “shoe fairy”. She takes special care in designing every Beboodle’s boots so they are unique to that doll. 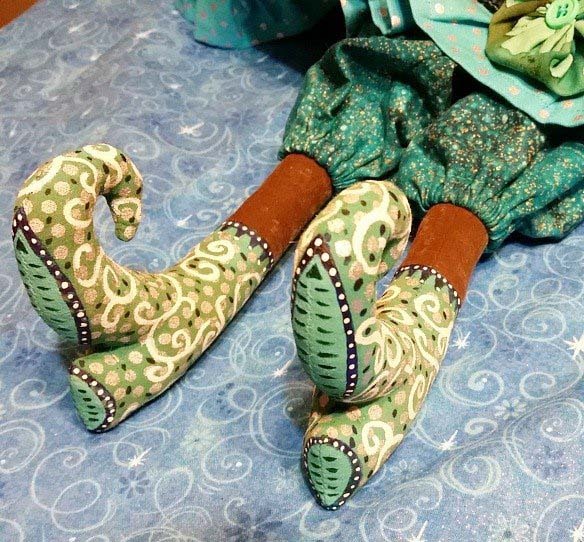 Every BeBoodle’s shoes are a work of art in themselves. In May of 2015 I started using Instagram to show my customers how their Beboodles were progressing. I took pictures of the different steps in the creation process and then moved on to showing the dolls in my daily life. Folks started following these Instagram pics because they are fun and lighthearted. People actually logged onto their devices every day just so they could see the antics of my Beboodles. Some folks ask me, “Why do you make the dolls this way? Why don’t you just buy brown, purple, or blue fabric and just create the doll out of that?” I very much enjoy the primitive soft sculpture technique. 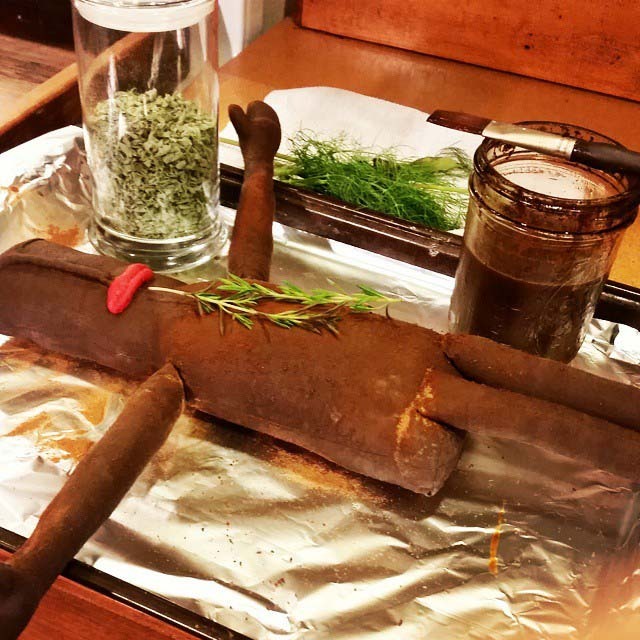 The painting, the sanding, the dressing of the doll with herbs and spices. The many days and steps it takes to make the doll can be filled with all sorts of charms, rituals and incantations. To me, this empowers and honors the making of the doll. Too, I like to think outside of the proverbial box whether it is magick, religion, crafting or sewing and this process encourages me to do that. Finally, not too many people are interested in this type of doll crafting which makes it alluring to me. When I look at my dolls, I see beauty and I feel joy. They are created in love and they are empowered for strength and protection. Each and every one is truly — A Spirit Doll. In 2016 I designed and developed Taco Cat — a spirit animal created for motivational magick. He served as the mascot for my 2017 Release Week Program. Taco Cat is made like the Beboodles with one difference — he is rubbed with a variety of Taco Spices and painted with White Lightning (which is how he got the name Taco Cat). 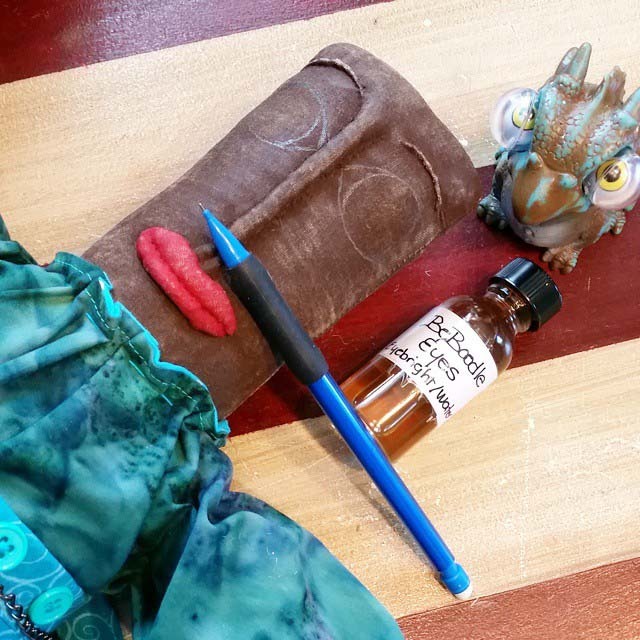 Stuffed inside the spirit animal is a large quartz crystal, a conjuring bag of motivational herbs, a hand drawn sigil and other personal goodies. In 2017 my love for soft doll art manifested in a new book! This work is filled with patterns, ideas, formulas, and recipes for your own spiritual creations! 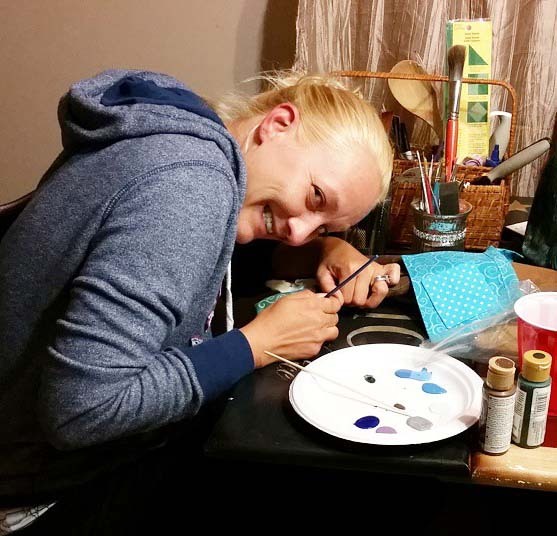 Over this years, this blog has contained many free artful projects to enhance the spiritual love and beauty of your life. I am in the process of creating a new set of soft art dolls, with their own story. May you find inspiration as I have. Thanks for sharing your work and story. I know I love my Spirit Doll 🙂 Thank you! I had NO idea you were making dolls!!! Thanks for the inspiration and saying it’s okay to goof up, I have a dolly I am supposed to do gather stitches on and I screwed it up and now she’s sitting there, NAKED!!! But I will try again!! I think your dollys are wonderful and hopefully I’ll have one of my own , someday!!! I’ve loved your books forever!!! I’m glad you’re on the planet at the same time I am!!! Teeheeeeehaaahaaaaa!!!!!!! I make and sell dolls myself, but honestly, your’s are amazing. Love the story of the old lady with her car full of dolls. Libby, put a link on your reply so we can see your dolls. Be sure your sales link is here, too. They are wondrous, as is your life’s story. Keep on stitchin’…sending you wondrous Robin Egg’s Blue energies! Thank you so much for sharing your story!! I look forward to seeing more pictures of them as they are born and hope to order one soon. Blessings!! I keep a record of every one and who it goes to. lol. I am the most honor owner of three dolls and I cherish each one of them. They come to lend their magick to me and my family. They sit in an area were they are easily addressed with greetings and salutations be everyone who see them. You might say three is excessive, I say you cannot possibly surround your self with too much positive magick. It is a very healthy way to get through a horrendous phase of your life. I hope you are not finding the readjustment too hard. They do say it takes a broken heart to write a great song, well you didn’t need a heartbreak to write another great story, you did it because it is who you are, and bless you for being such a supercool gal even in your dark time. Long live the Queen I say! I love you! What a beautiful post! BeBoodle world now continues, stronger than ever! i really like these dolls and today i am starting my own..wish me luck..
Oh how I love these dolls. I mentioned before with some of your crafts that I shared the ideas with my craft group..Did you ever think of teaching a beboodle making class? Somewhere between you and Harrisburg..Oh I would pay to be a part of that class. 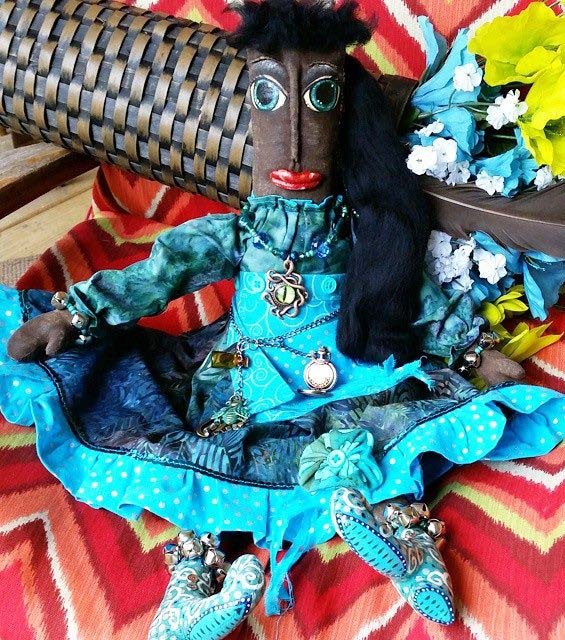 I think your dolls are just fabulous and I would love to make one under your guidance. I have always loved dolls since I was a little girl and I still love them. There is something so magical in the eyes of your dollies and I would love to have one.. Maybe when I get back to work I will order my very own.. Till then I will keep admiring the ones you have created, and I will continue to read the installments on your story. I can’t wait till the new installment comes around. Thank you so much, Elena! Hmmmm, dollmaking class. I like that! Looking forward to the next chapter of the story and I loved the tale of the car of yammering dolls. Just like taking a road trip with a bunch of kids. I’m surprised there wasn’t one going “Are we there yet? Are we there yet?” You are awesome Silver. Will there be more of the Beboodle story when the Challenge is over? I really miss reading it. Thank you, Lisa! I had to do it again this year — this time with my dog. I was actually able to handle his illness better because of my prior experience with my father — and when the time came, I was able to cast the circle, open the West Gate, and send him home with peace. Unlike most situations with people, an animal can’t tell you what hurts, so you are guessing a lot. My father’s dementia was much the same way. With that experience behind me, I was better able to care for the dog for the three months prior to his death. And — the dog’s illness pushed me to offer the Granny Magick course that I always wanted to teach. It isn’t that you don’t grieve — the passing of my dog broke my heart — but, if you can channel that energy into something productive, everyone benefits. Love, healing and sweetness to you! Thank you for sharing this amazing story…it now makes me want my own! I just wanted to let you know exactly how inspiring you have been to me…thank you Silver for being such an awesome person! How much and where do I get one. I’m bet intrigued. They are available in my Etsy store — http://www.crowcrossroads.etsy.com Thank you for asking. If I could be connected with the people who inspire me ! There is always a great beaming of Light when we talk. Inspiration comes then. But I am often left alone. It is a whole Universe of Ideas here in my mind but they are dispersed, need a direction to manifest my projects. 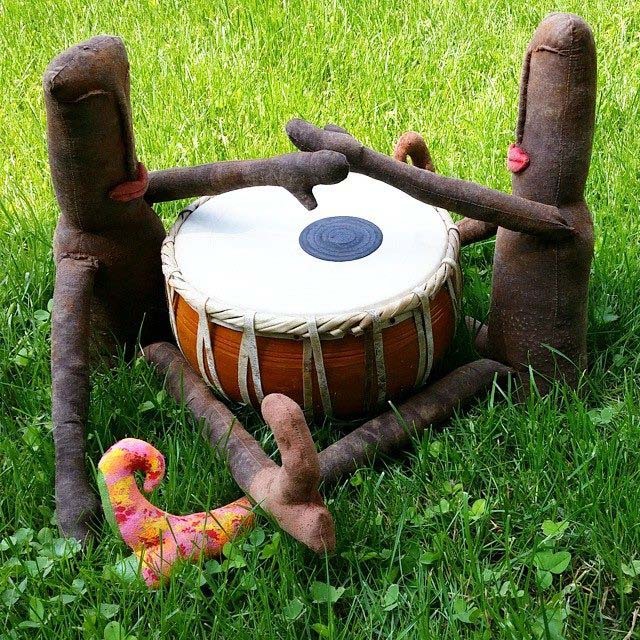 I understand you when you say that the dolls speak to you…this is like my paintings, some of the figures I draw on paper “talk” to me… I need to work on the improvement of my connections, can any of these dolls hear me 🙂 Sending to all of you much Light from my Heart ! The world is really a better place when I know that YOU exsist ! Blessings and Thanks ! The alone-ness is just an illusion.